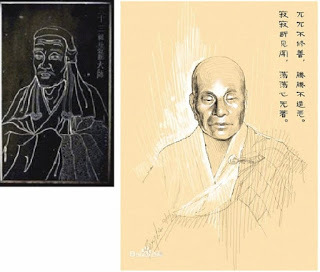 “Philosopher Lao Zi & Zen Master Huineng Caricatures 2019” in the “Eyes of Artists International Competition & Exhibition” is an open competition. The objects of the competition are cartoons, drawings, graphics and other works of fine art created by artists. 3. The submitted art works would be promoted on the internet and media. In traditional accounts, Laozi's personal name is usually given as Li Er (? 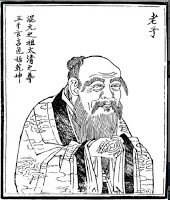 ?Laozi is traditionally regarded as the author of the Tao Te Ching (Daodejing), though the identity of its author(s) or compiler(s) has been debated throughout history.It is one of the most significant treatises in Chinese cosmogony. As with most other ancient Chinese philosophers, Laozi often explains his ideas by way of paradox, analogy, appropriation of ancient sayings, repetition, symmetry, rhyme, and rhythm. In fact, the whole book can be read as an analogy – the ruler is the awareness, or self, in meditation and the myriad creatures or empire is the experience of the body, senses and desires.